This installation/performance is a playful portrait of the artist in the studio built around the reciprocating mirror machine from Brand's 1971 film installation Pong Ping Pong. In this newer 2006 video and film installation, the scanning frame catches the artist looking back in retrospective self-reflection. 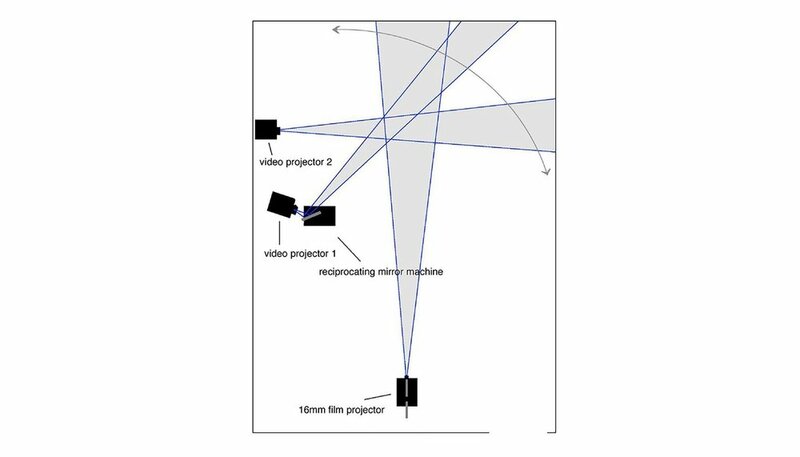 The piece includes previously unreleased film experiments, home movies and bits and pieces from Brand's studio including selected optical printing fragments from among his hundreds of projects as BB Optics since 1976. Among these are film fragments of the artist Ray Johnson at Black Mountain, dancers Rudolf Nureyev and Margot Fontaine in the New York City Ballet plus atomic bomb tests in the Bikini Atoll and a death squad in Guatemala.